If you are a coffee drinker you are in for a treat when you holiday in Timor-Leste. Coffee produced here is high quality, delicious and exported all over the world. It is a hot commodity selling at a premium price on the global market with main markets – United States, Germany, Portugal, Indonesia and Australia. The Timorese are also great coffee drinkers, with a preference for it black and very strong. Coffee has been organically grown for over 200 years in Timor-Leste’s steep highlands and the coffee forests with their large shade tree canopies now cover an estimated 52,000 ha. 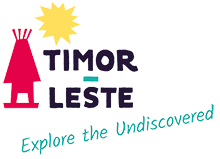 It is the country’s biggest agricultural export and employer with over 50,000 Timorese families relying on the coffee harvest for a substantial part of their income. Both arabica and robusta varieties are grown plus the arabica-robusta hybrid which miraculously provides in a single plant the best qualities of both species. These are well suited to Timor-Leste’s natural conditions and climate. During the main harvest, June to August, you’ll see the Timorese picking the red coffee cherries and if travelling in the producing areas you’ll need to veer around patches drying in the sunshine on the road edge. Ermera accounts for half of Timor-Leste’s coffee production with other important areas being Ainaro, Aileu, Manufahi, Liquica and Bobonaro.